This 19th century gilt Federal mirror has a flat flaring pediment with blocked ends and a band of suspended spheres. 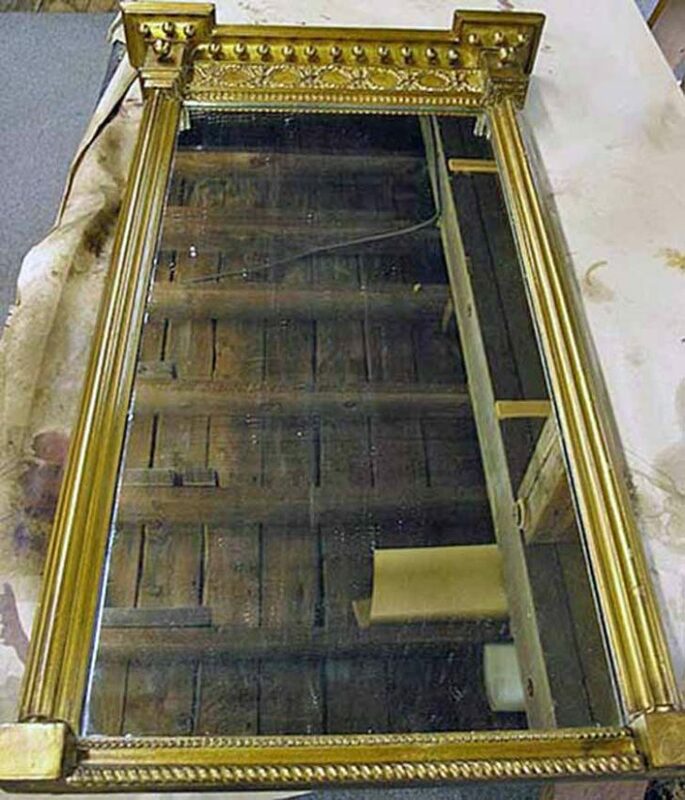 Restoration included replacing missing parts, which were gilt with gold leaf and touched up to match the overall color and texture of the frame. Here’s a before and after of the missing spheres that were replaced. Also missing was the lower right corner block. To complete the project, the wire on the back was replaced so the mirror could be safely hung on the wall. 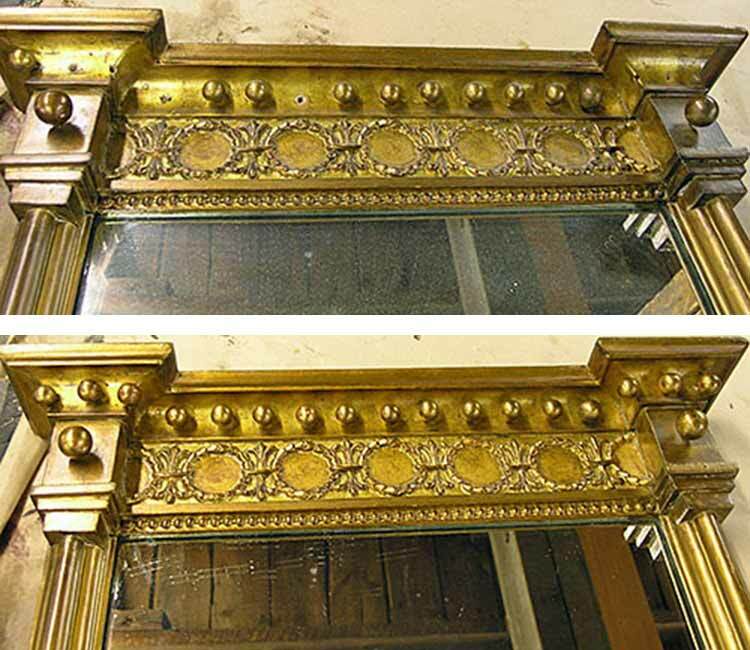 This Federal mirror was restored for a Lakeville CT client.